Xiaomi MIUI Official Forum › General › News › Xiaomi Sets New Record: Sold Over 10 Million Smartphone in A Single Month! [Xiaomi] Xiaomi Sets New Record: Sold Over 10 Million Smartphone in A Single Month! Previously, Lei Jun announced that Xiaomi shipped 23.16 million smartphones in Q2 2017, an increase of 70% from the previous quarter, marking a record high for Xiaomi’s quarterly smartphone shipments. This achievement signifies a major inflection point in our growth — after two years of internal recalibration, Xiaomi is once again embarking on a rapid growth trajectory. Today, we have some exciting news to share with you. Xiaomi sets their best record and sold over 10 Million smartphones in September! Great news as we entering Q4! We had a wonderful celebration party in our HQ, everyone smiled broadly and happily at the event. September is a remarkable month for us, especially on the global stage. To recap, Xiaomi sold over 1 Million Smartphones in just 2 days on e-commerce giants Flipkart and Amazon India. We also came out with a three-day Diwali with Mi sale (27-29 September) on Mi.com offering discounts on smartphones and gadgets. We also opened our 7th Mi Home in the country, 2nd in Delhi-NCR and 1st one in Noida. It is situated at DLF Mall of India - India's Largest Mall. There would be more Mi Homes are coming to India as well. Our first Authorized Mi Store in Maroussi, Greece opened on the 1st floor of the Golden Hall commercial center. Products on sale include Mi 6, Mi Power Bank, and Mi Band 2, while other Mi Ecosystem products such as Mi Robot Vacuum, Mi Induction Heating Rice Cooker are on display for you to experience. Do check it out if you happen to be in the area! 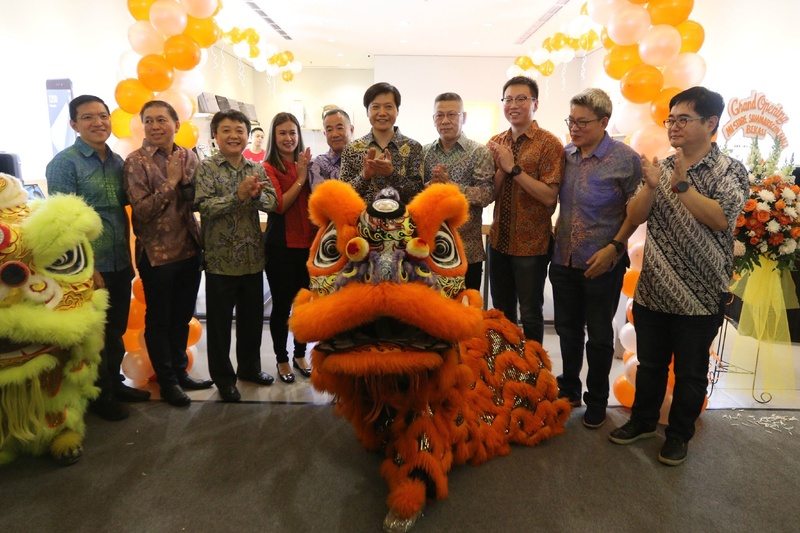 Our CEO Lei Jun made his first visit to Indonesia and graced the opening ceremony in a strong show of support to the market. Lei Jun posted on Weibo, everyone's a millionaire in Indonesia. He then bought two Made in Indonesia smartphones at our Mi Authorized Store in Jakarta today. Can anyone guess what he bought? They also took this opportunity and paid a visit to some mobile phone shops in Surabaya and chatted with a number of shop owners. It was a fruitful business trip and he's really happy to see that people love using Xiaomi smartphones. We offer our sincere gratitude to all of our Mi Fans for the trust they have placed in us over the years. Our success wouldn't have been possible without each & every one of YOU!. Thank you! What is your favorite Mi/ Redmi device launched in 2017? Zurabov + 10 + 3 Fantastic! well done Xiaomi. keep it up! still lagging when it comes to the list of smartphone giants like Samsung apple.